To organize the day of your wedding is exciting but it also needs time for decision making. 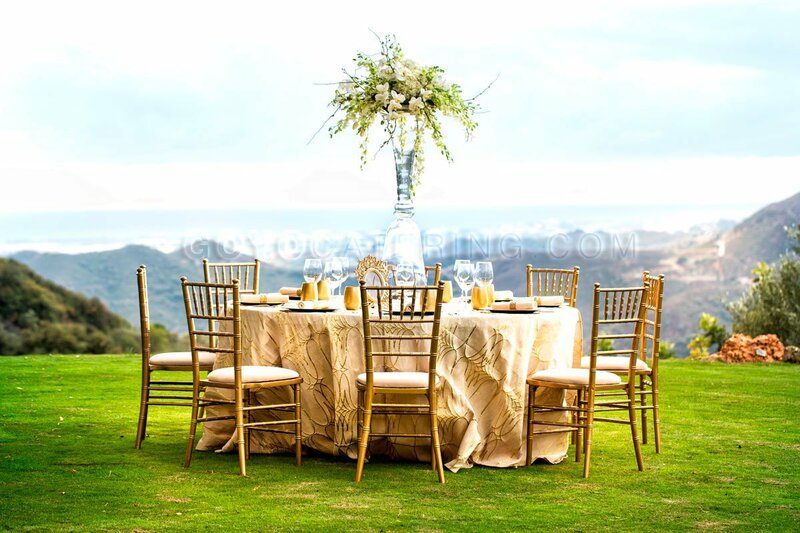 We give you some ideas for choose the tablecloths for a wedding. They inspire freshness and elegance. 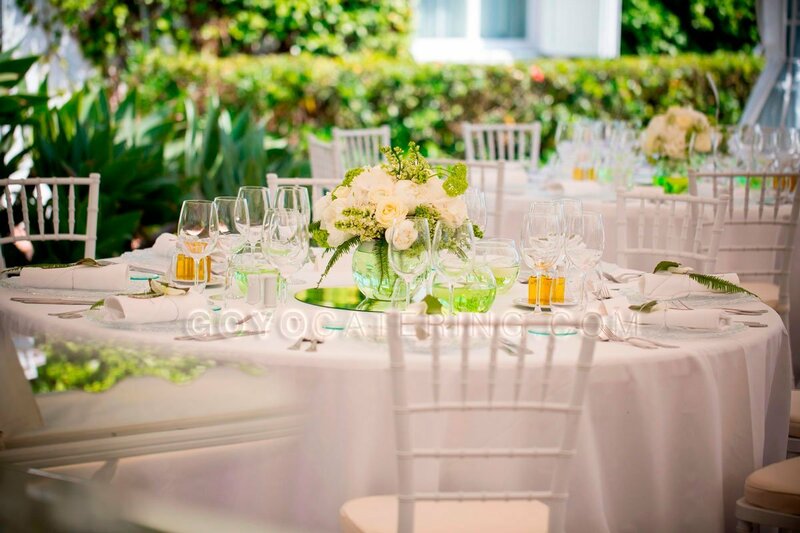 Glowing in the daylight, combined with floral arrangements that will stand out, accompanied with chairs –type Chiavari- you will transmit energy and confidence. 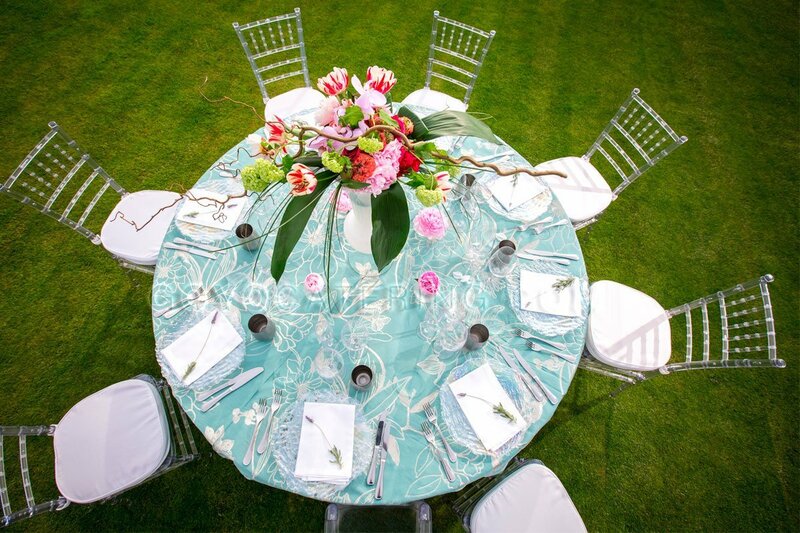 Pink and green tones mix in this flower print tablecloth for special occasions. It combines perfectly with white chairs, servilletes and crockery. 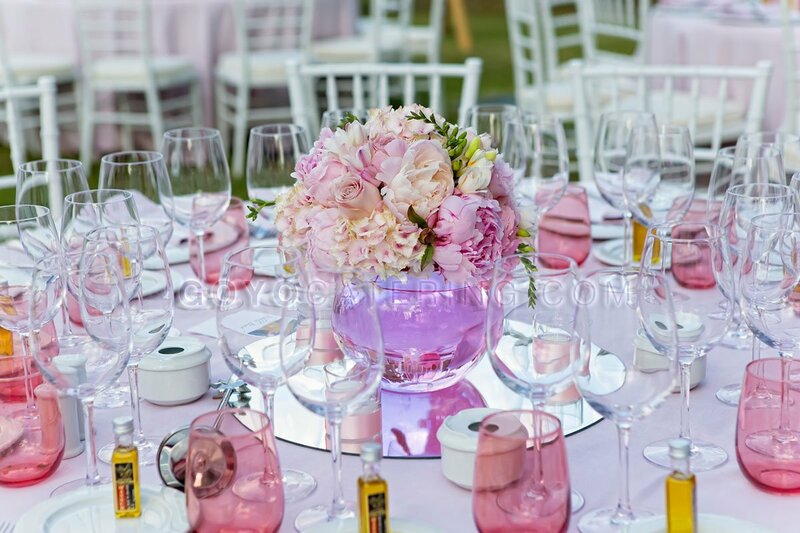 With feminine predominant taste, it is the right choice for an outdoor event. Delicate and special. This option combine perfectly, as we show in the image, with golden decoration. 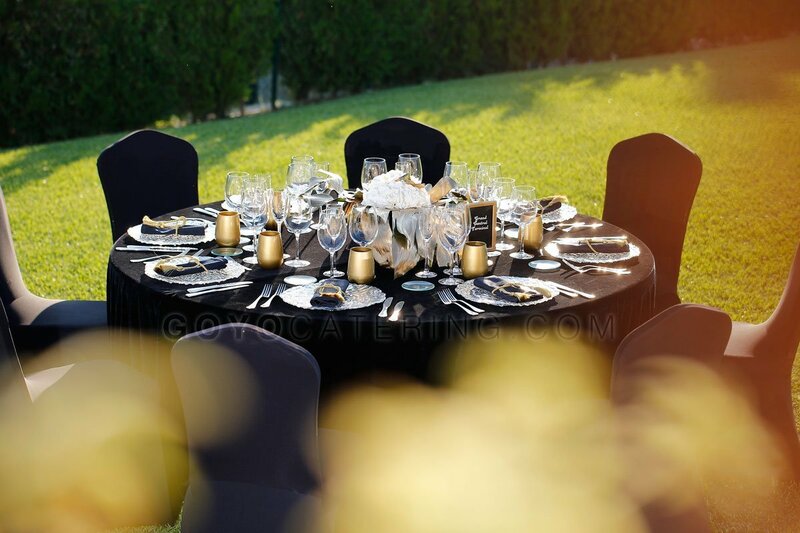 Black makes the silver cutlery stand out and offer a perfect scenery to give protagonism to each of the persons that sit to taste the delicious gastronomy that is served during the celebration of the wedding. If you like the golden details for your wedding, this is your best choice. 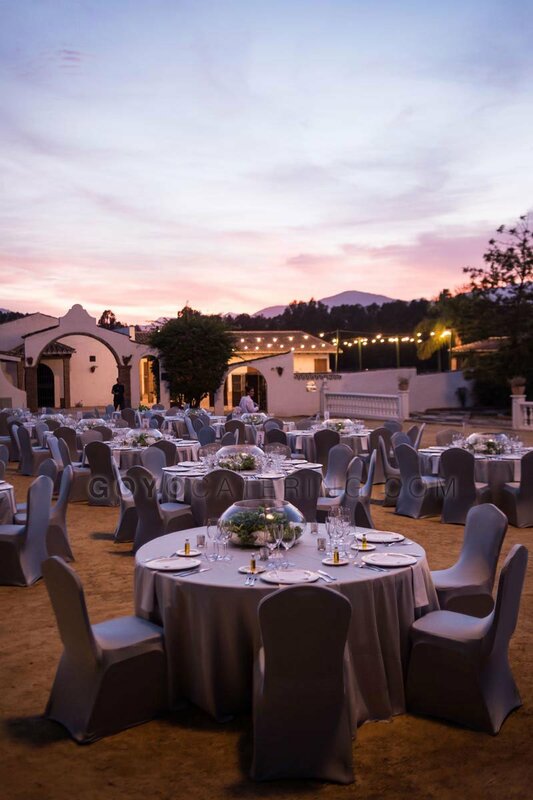 Together with the golden glasses and chairs, beige servilletes and florar arrangements in tune with the celebration you will transmit warmth, luxury and delicacy. Elegant in daylight. Glamorous at night. They give a different look to the event. In this case, combined with the albero sand, convention type chairs with matching lycra and the crockery and servilletes in white. The guests were impressed by the greatness of the set up. They transmit great delicacy thanks to its moderate tone and texture as they are made in linen. Together with white Chiavari chairs and pink glasses it makes one of the favourites at Goyo Catering when it comes to celebrating a wedding. Printed and turquoise. Grey glasses, cristal plates and silverware. 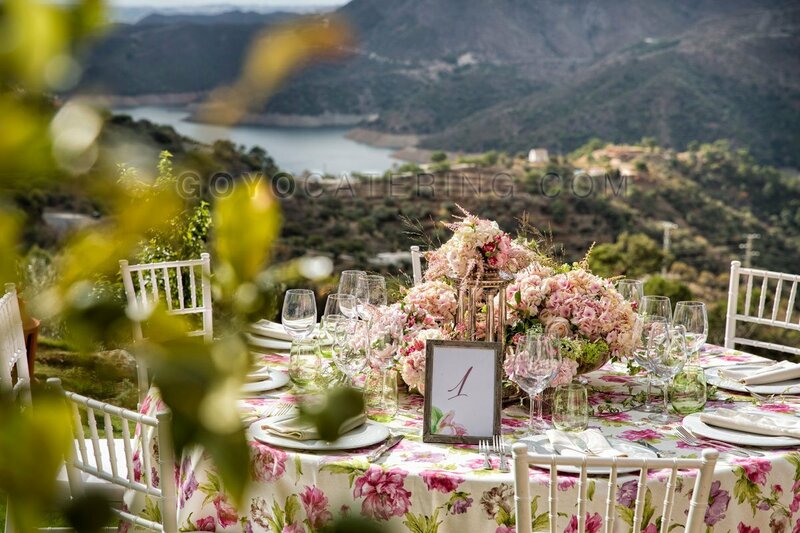 One of our latest incorporations in our table linen dossier that we have in Goyo Catering. If you are looking for something different but luxurious and with design for your celebration, this might be your occasion. We have more options in tablecloths, glassware, silverware, not only the ones we share here. What combination do you prefer?